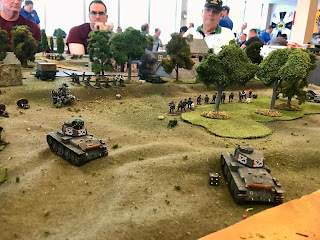 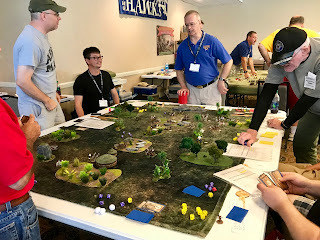 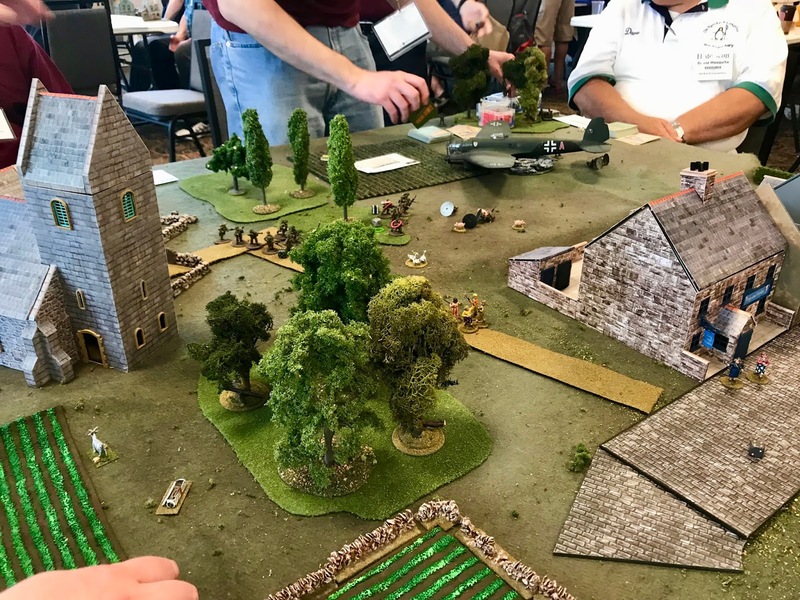 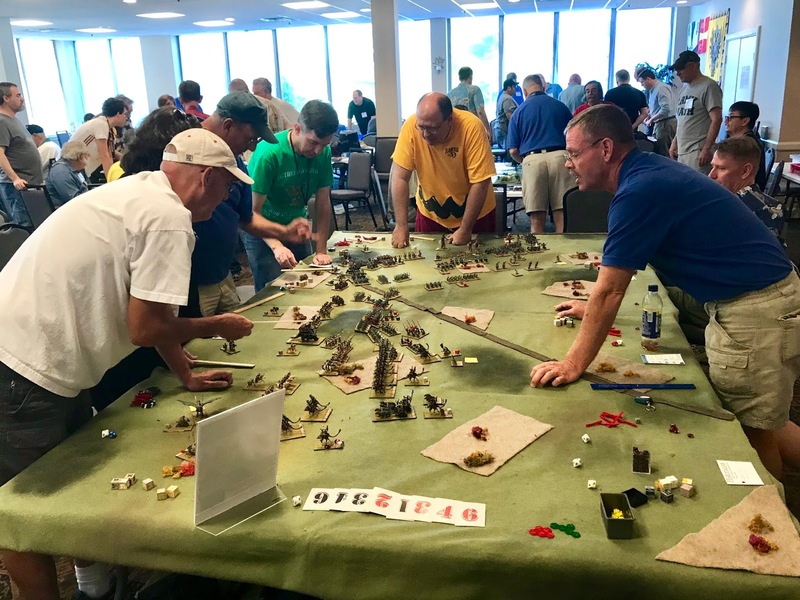 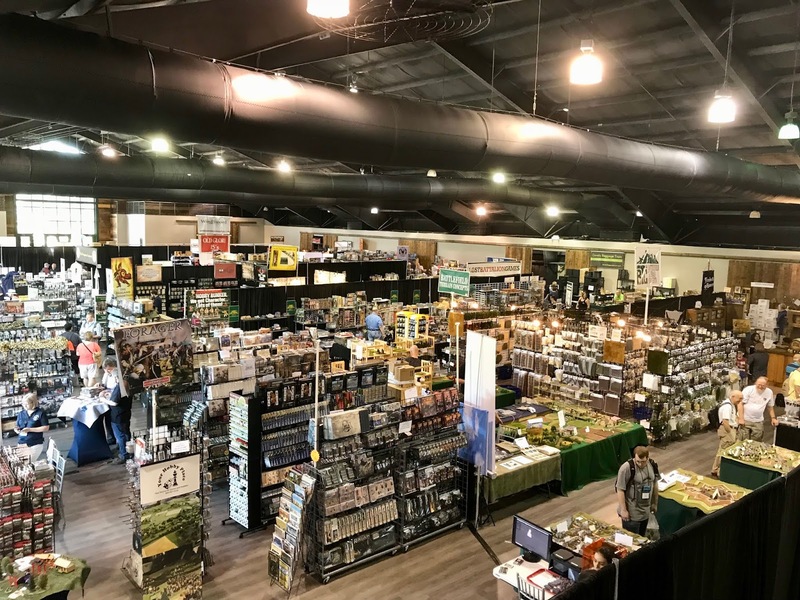 I was only able to get up to the Historicon miniatures gaming convention for a short while on Friday to visit the HAWKs room and get some shots, and was selling in the Historicon Flea Market all day Saturday. 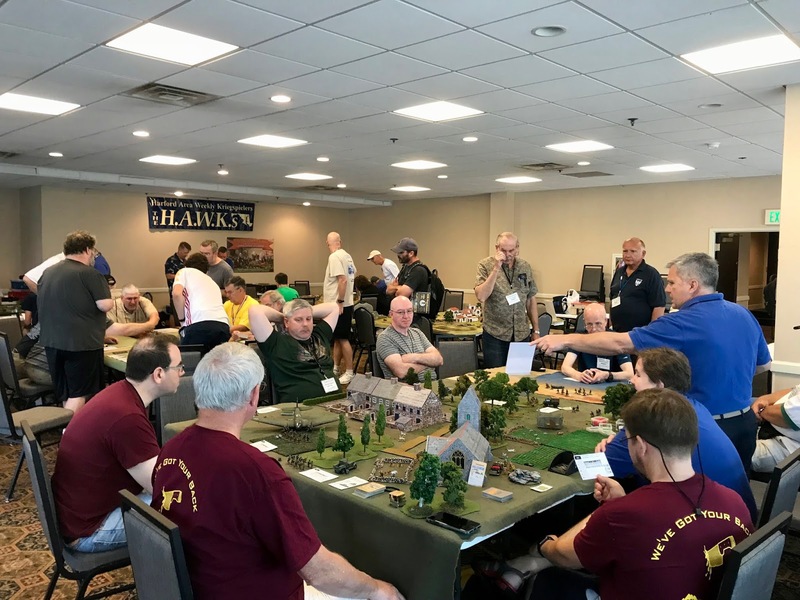 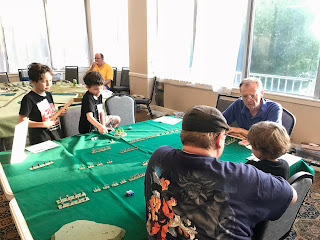 I was able to squeeze in running a game in the HAWKs room on Saturday night, so got some photos then as well. 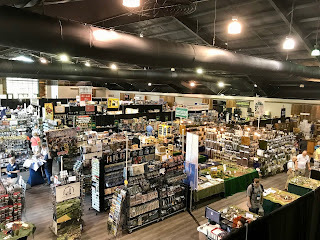 Even though I was only there for a short while, I had a great time at the con. 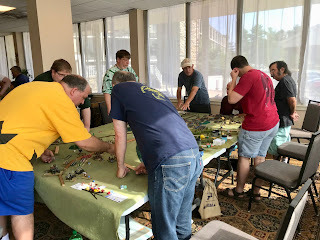 One of several Sea Lion games run by Buck Surdu and Greg Priebe, using "Combat Patrol" rules. 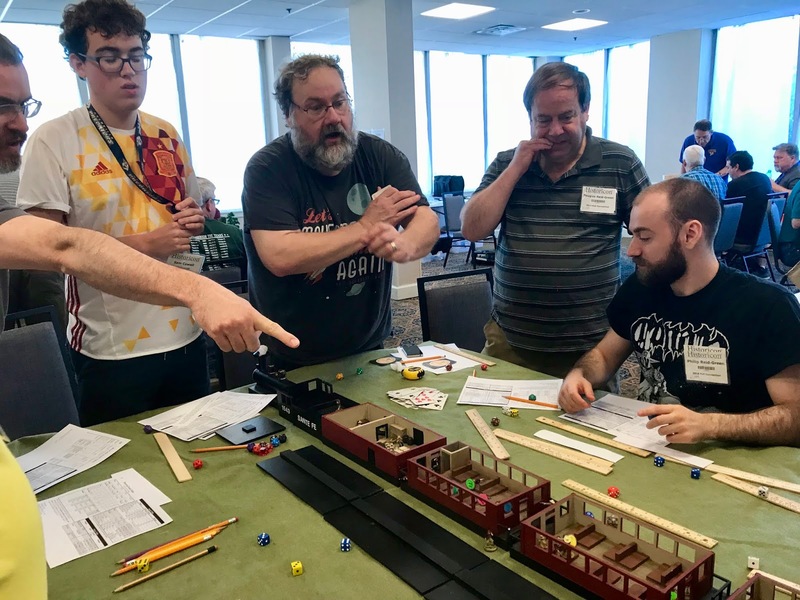 James "Tank" Nickle's popular train heist game. 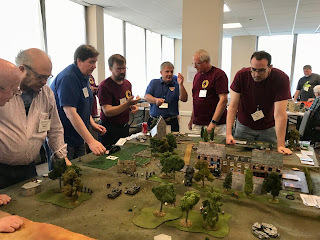 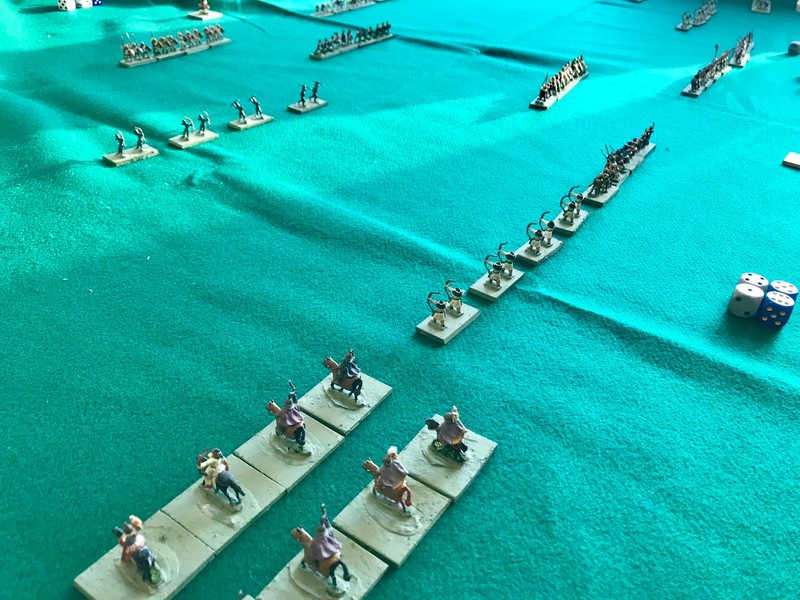 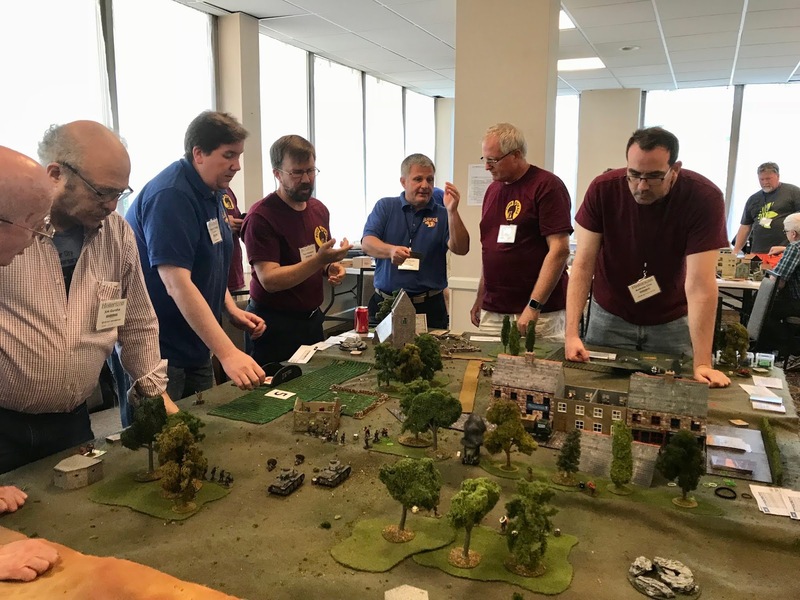 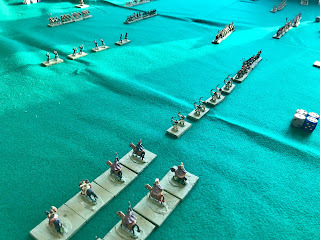 Duncan Adams' Peninsular Napoleonics game using "Combat Patrol: Napoleonics"
Another of Buck and Greg's Sea Lion games. 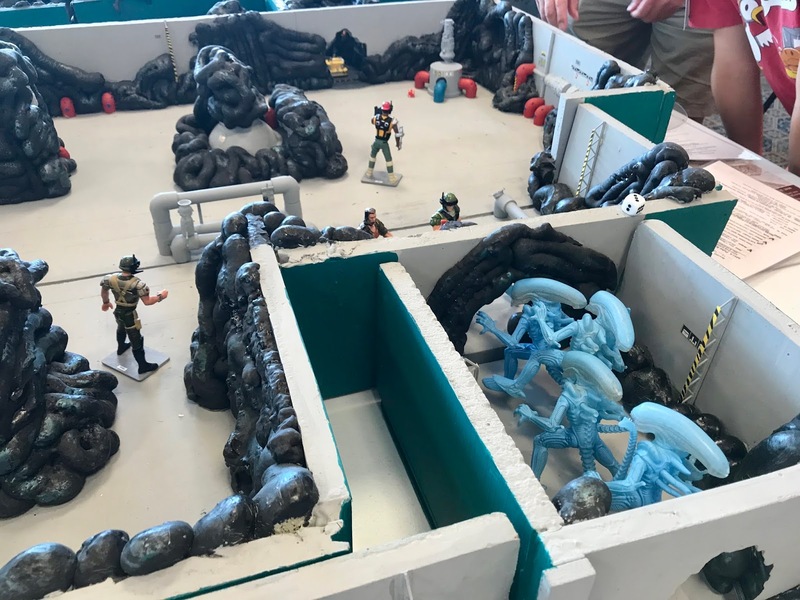 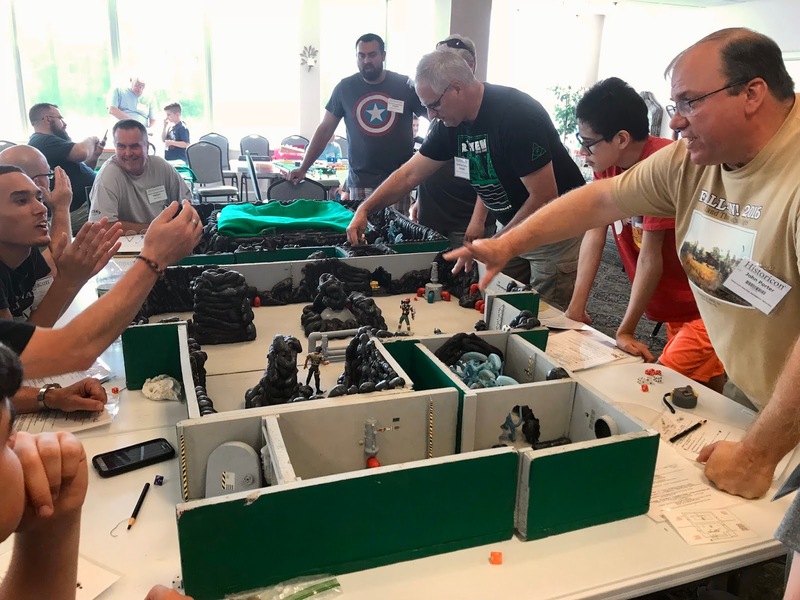 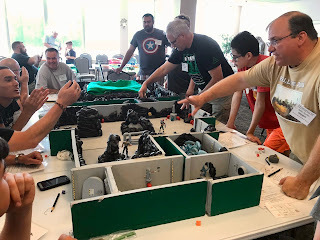 Using action figures for "Aliens"
David Schlegel's Fantasy game using "Bear Yourselves Valiantly" rules. 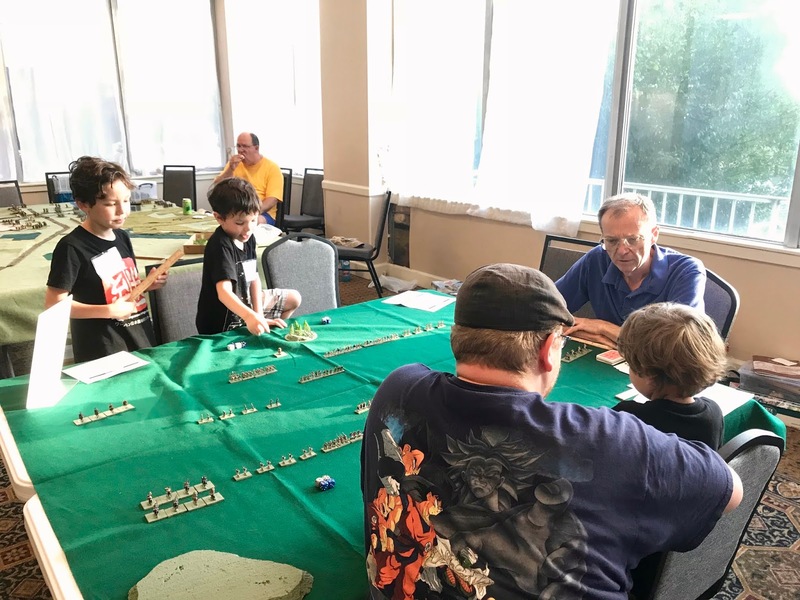 Duncan Adams' helmed this year's Armies for Kids game. 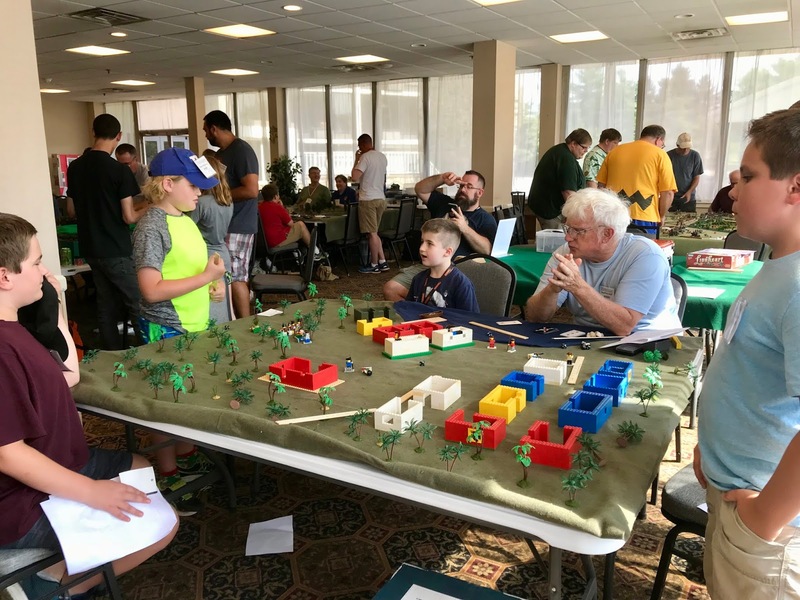 Some of the armies the kids got to take home with them in this year's Armies for Kids game. 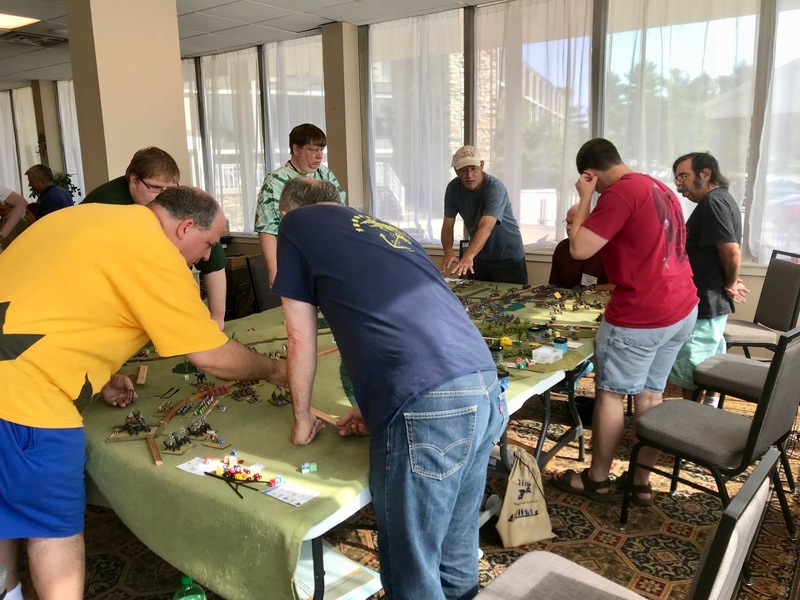 The BARRAGE '18 Webpage is Up and Running!